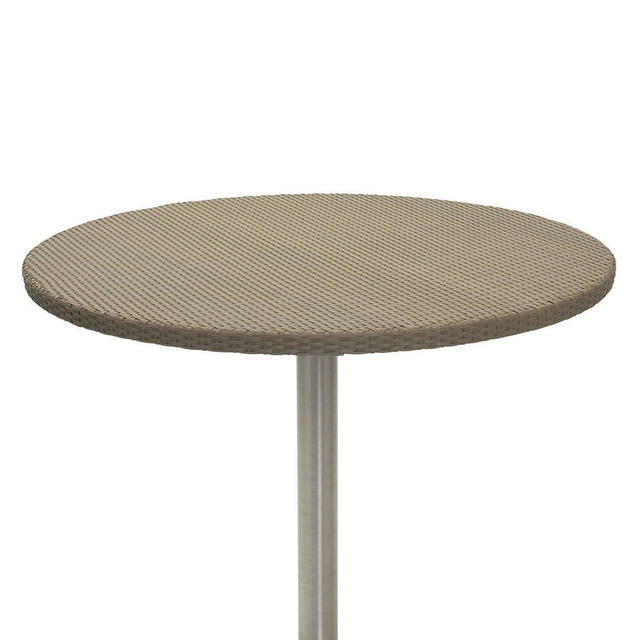 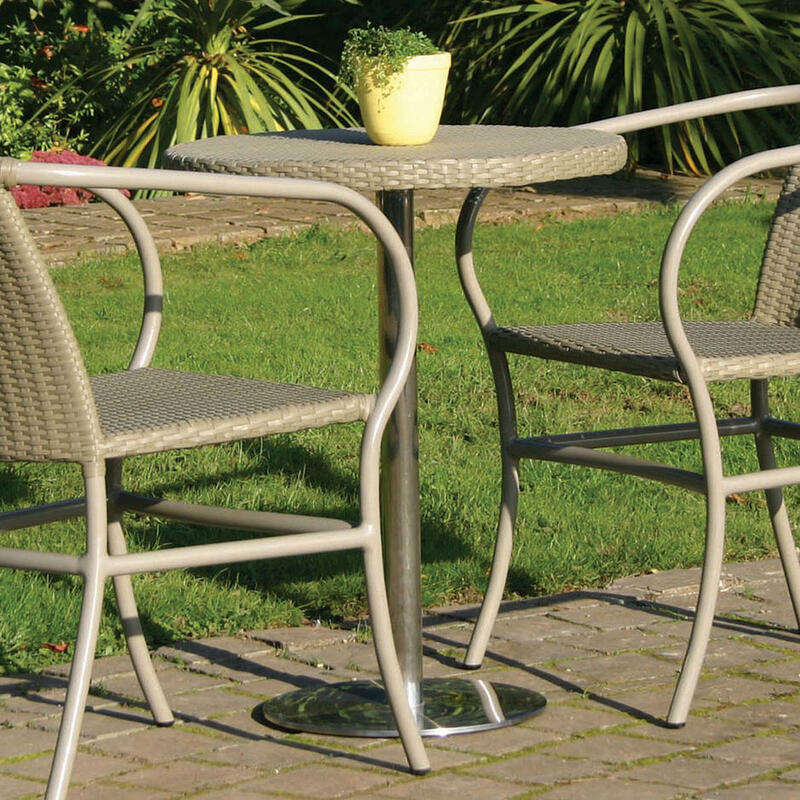 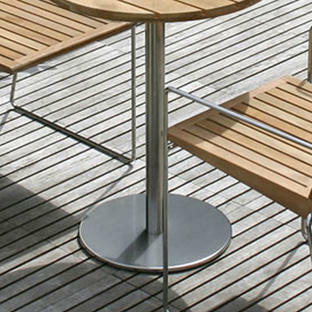 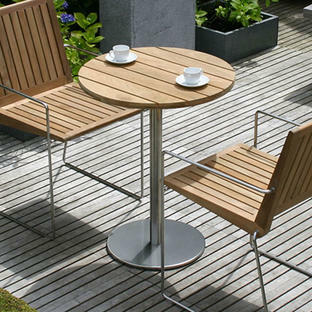 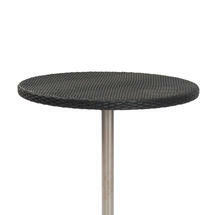 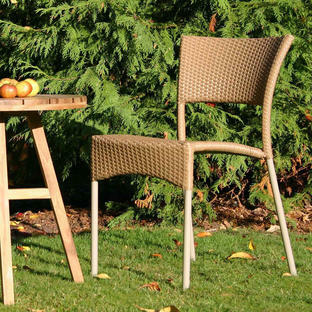 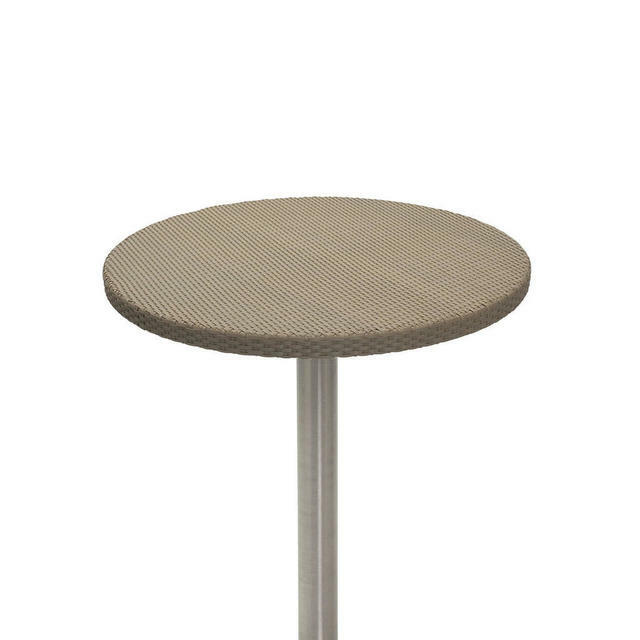 Easy, versatile woven round table tops for relaxed and informal outdoor dining. Gorgeous, synthetic woven table tops in a choice of 3 elegant colours. 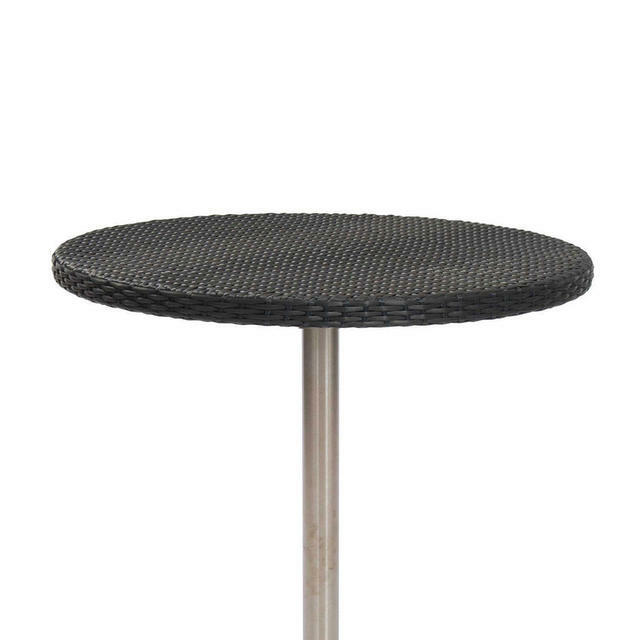 This classic woven table top can be used on a number of different table bases. 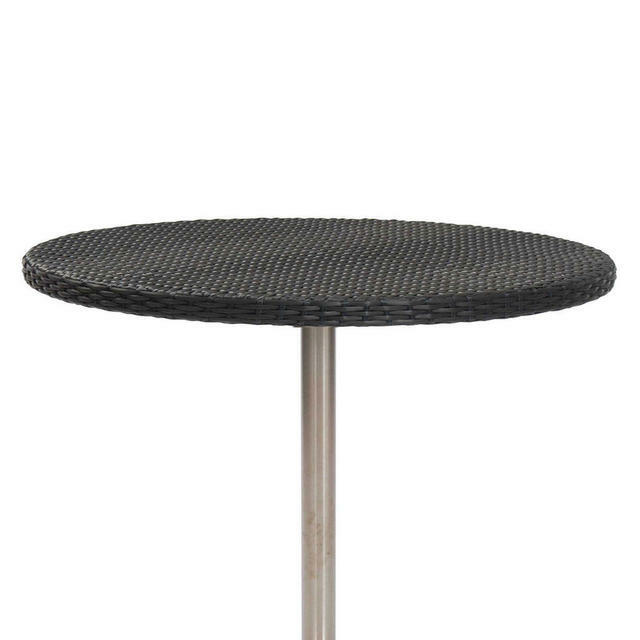 Here the table tops are shown with a stainless steel pedestal base to give a classic pure understated design style, which is timeless. 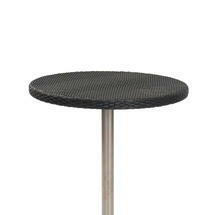 Please Note: You need to order your table base separately, please see here for the options. 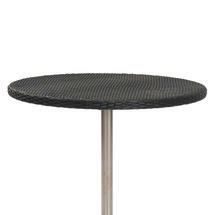 Woven round table tops in all weather synthetic weave. 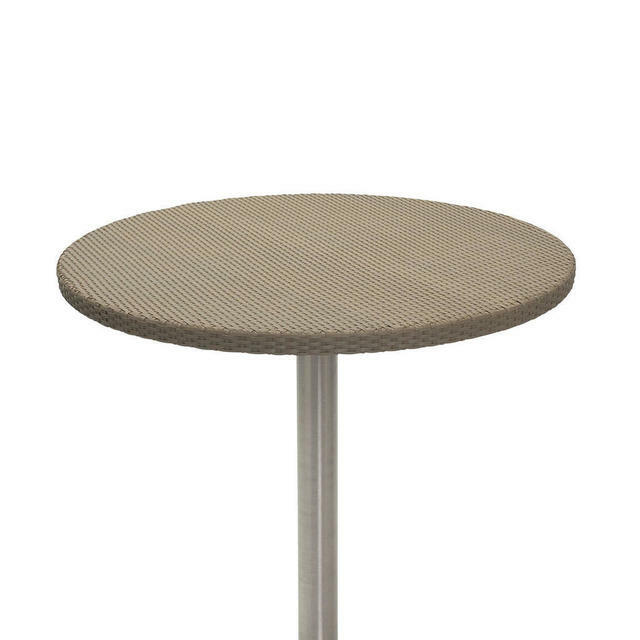 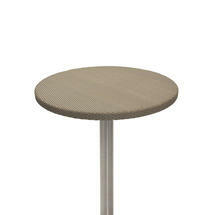 The 60cm and 90cm table have a solid weave top with no parasol hole. The 120cm table has a parasol hole and is complete with a glass top. 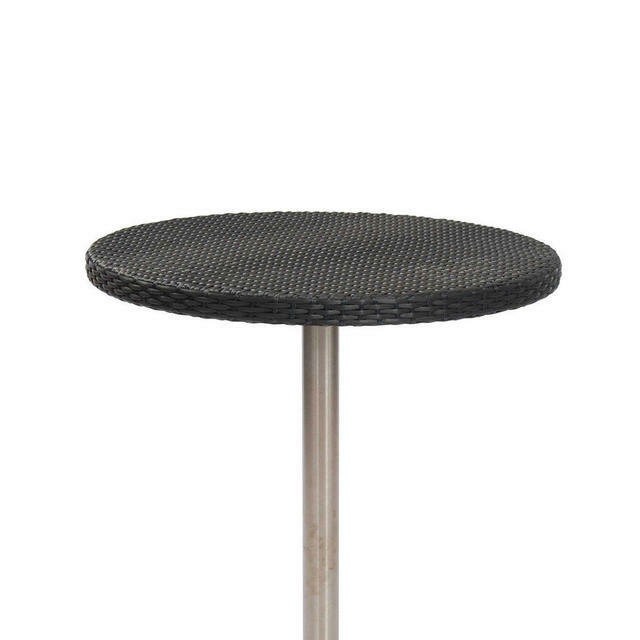 PLEASE NOTE: Table bases need to be ordered separately, simple assembly is required.